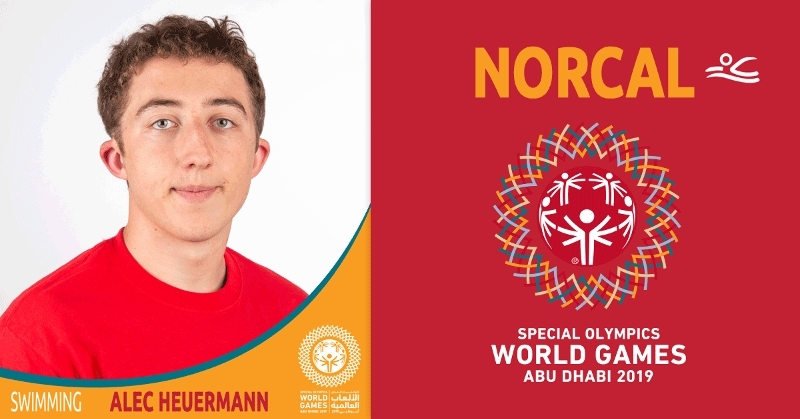 Alec Heuermann of Rocklin has been involved with Special Olympics for two years and will compete in swimming at Special Olympics World Games Abu Dhabi 2019. He participates in swimming, golf and bowling. He enjoys meeting new friends through Special Olympics. He has practiced very hard to earn a spot on the national stage and is training vigorously for World Games. Alec is currently studying at Sierra College, is an Eagle Scout and enjoys traveling, watching movies and spending time with friends and family. He is honored to represent Northern California and Special Olympics USA at World Games.